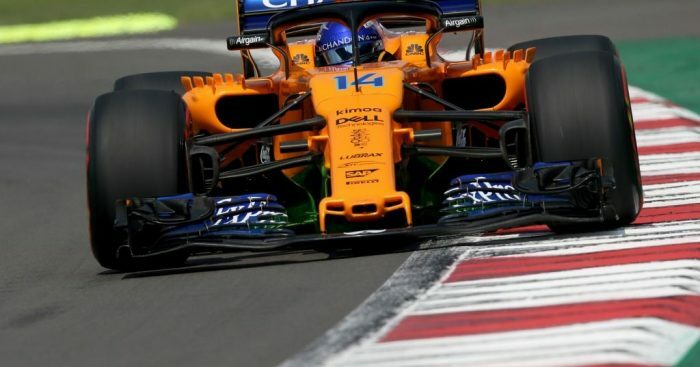 Fernando Alonso has said that he would prefer “zero tolerance” on track limits, despite falling foul of it in Mexico last time out. The Spaniard had his first lap in Q1 deleted after running wide at Turn 11, although he was saving his McLaren from a huge crash. He eventually managed to qualify in P12 for the race, but his Sunday was ended early after a freak incident, which he called a “one in a million” thing to happen. On track limits, though, the two-time World Champion believes that the rules should be clear, like they are in WEC. The Spaniard and his team-mates lost pole position at Fuji in the latest round of the season for abusing track limits. “I prefer when it’s zero tolerance,” Alonso said. “In Fuji [WEC] we crossed the white line by one centimetre and they delete the lap time, and we were not on pole position because of that. “We didn’t gain time because it was a correction like here – you have a big moment, you end up off track, and they delete the lap. “But the rules say if you are over that red and white line they delete the lap. “They don’t consider if it was a mistake, a correction, or a pure gain in time, it’s just the line is there, and if you cross the line they delete the lap. Alonso only has two races left in his Formula 1 career, after announcing that he will leave the sport at the end of the season. It has been rumoured that he could move to Formula E, joining current team-mate Stoffel Vandoorne in the series for the 2018/19 season.